Premier Michael Dunkley said he was “bursting with pride” at the early performances from Bermuda’s Commonwealth Games athletes. So far the island has competed in the squash, men’s and women’s triathlon, swimming and rhythmic gymnastics. 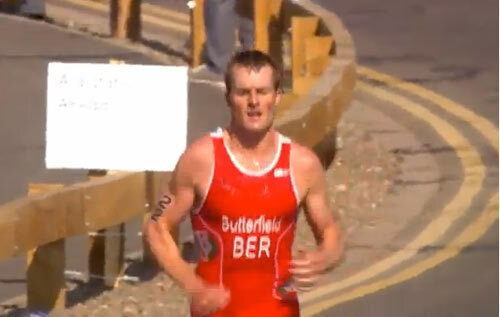 Duffy is the top performance so far with an eighth in the women’s traithlon but Butterfield’s 19th and Franklin’s first round win have caught Mr Dunkley’s eye. He told the Bermuda Sun: “I am bursting with pride to learn of the fantastic early performances of our Bermudian team at the Games. He added: “The level of competition at the Commonwealth games has improved so much over the years and Bermuda is now competing against stronger and stronger teams. “So for us to send such a significant team there and for them to hold their own and compete on an international stage like this is hugely gratifying for us as a country. “These athletes representing Bermuda deserve all the credit in the world for what they are doing. Mr Dunkley picked out the example set by swimmer Roy-Allan Burch and professional triathlete Tyler Butterfield as being ideal role models. He said: “I have been told of a lot of our athletes that could do well. “Roy-Allan Burch is an outstanding role model for Bermudians. “You have to pull for a guy like that. I would love to see him do something at these Games for Bermuda. “But there are many others like that in our team; people like Tyler Butterfield that are real ambassadors for their country.